Some people can wake up at 4 A.M., work out, meditate, read, take care of their kids, cook, take a bath, run a marathon, attend parent-teacher conferences, volunteer at the local shelter and write three books a year… AND be amazing at their job. Could we all do the same? For Gretchen Rubin, it all depends on how well we can manage external and internal expectations, form new habits, and find motivation. 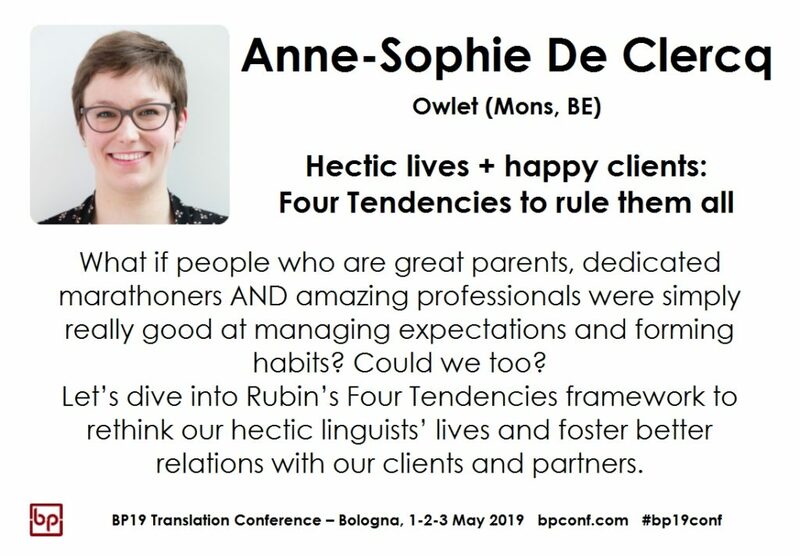 In this session, we will dive into her Four Tendencies framework to discover how it can help us foster better relationships with our clients and partners, and create well-needed balance in our hectic linguists’ lives. 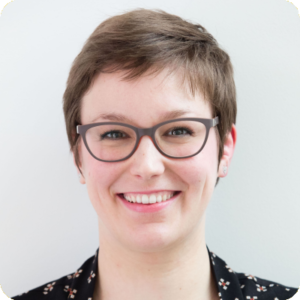 Passionate about linguistics, arts, and life management, former researcher, teacher, and business developer, Anne-Sophie had an epiphany the day she discovered being a linguist could allow her to combine her multiple activities and interests. She’s now an English and Spanish into French translator as well as a French editor and copywriter. She specialises in literary and marketing content to help creatives and entrepreneurs hatch the words they need to spread their wings. To make the most of her days, she also gives workshops about time management and work-life balance for freelancers. In her spare time, she’s all about eating, reading, and practising yoga. This session is scheduled for Thursday, 2 May 2019. The exact time and room will be announced by mid-April.